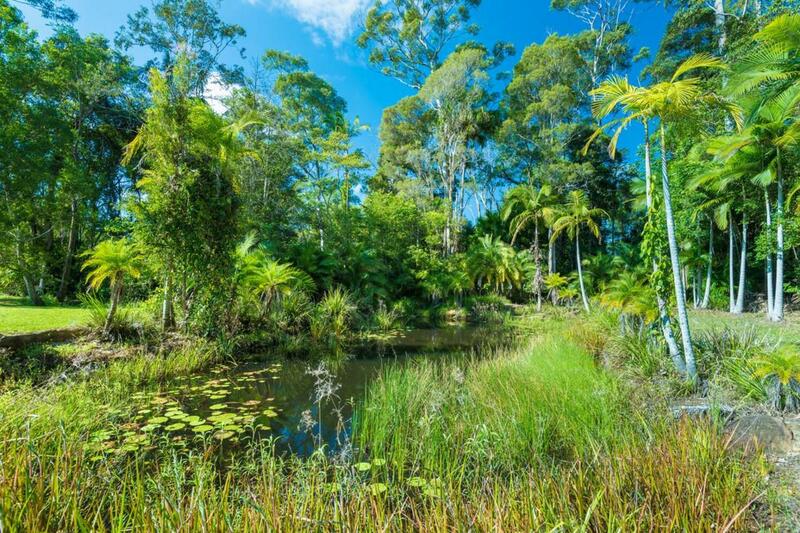 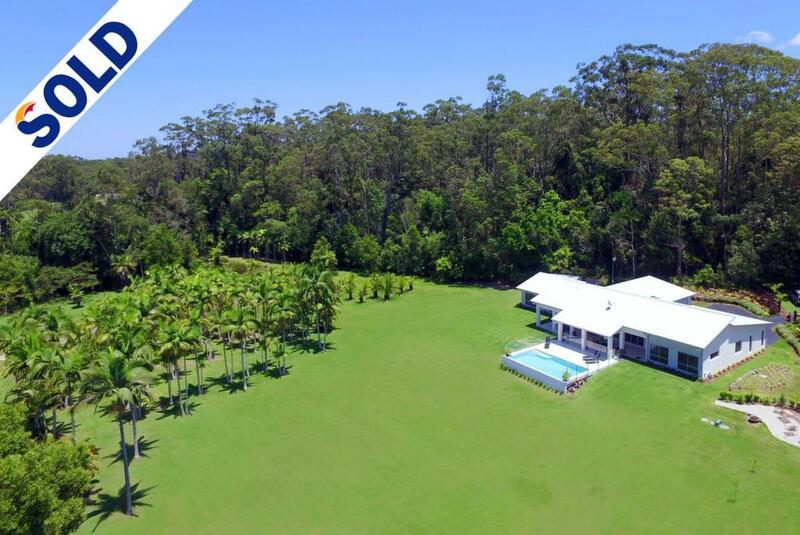 Barely a ten minute drive from the Noosa River and similar distance to the twice weekly market town excitement of Eumundi township, stone walls signal a sealed driveway approach to this immaculately presented hinterland haven. 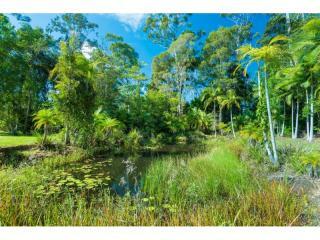 Set well back from the pretty country road, privacy and the sounds of nature are your constant companions. 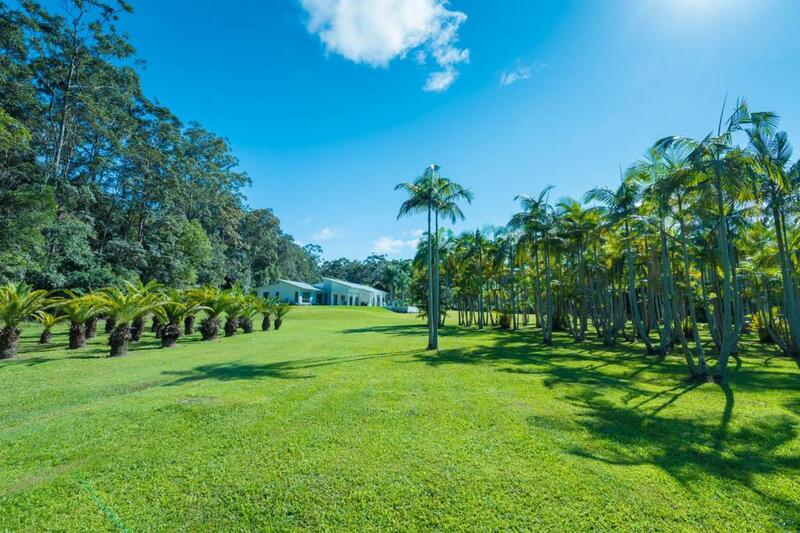 Once home to a thriving tropical palm nursery, the predominantly open grounds have stands of Alexandra, Date and Golden Cane plus lawns for the kids and pets to enjoy. 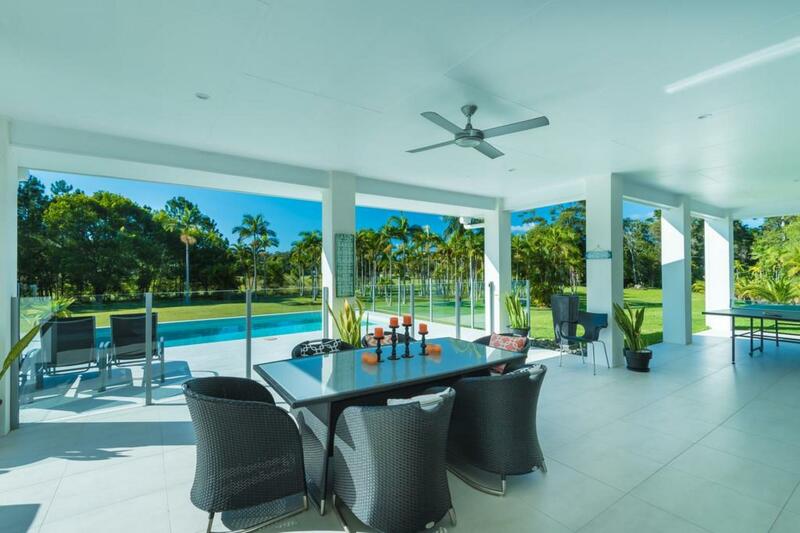 A wall of powder coated bi-fold doors peels away to poolside entertaining and dining, while the glass balustrade of a focal point seven by four metre pool sculpted into the gentle slope of the land provides the perfect spot for regular visits from a pair of brilliant marine blue kingfisher. 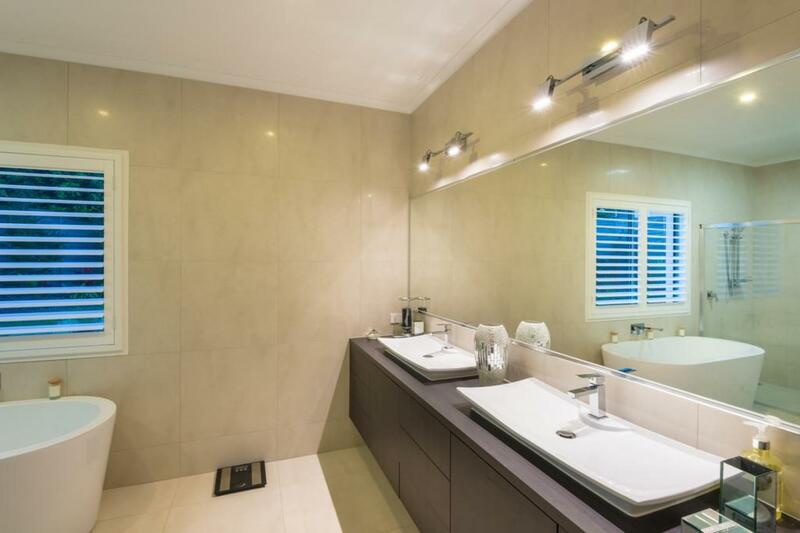 Purpose built to house extended family, in one wing a sleek main bedroom suite has a stand free bath in the ensuite and very generous walk in wardrobes. 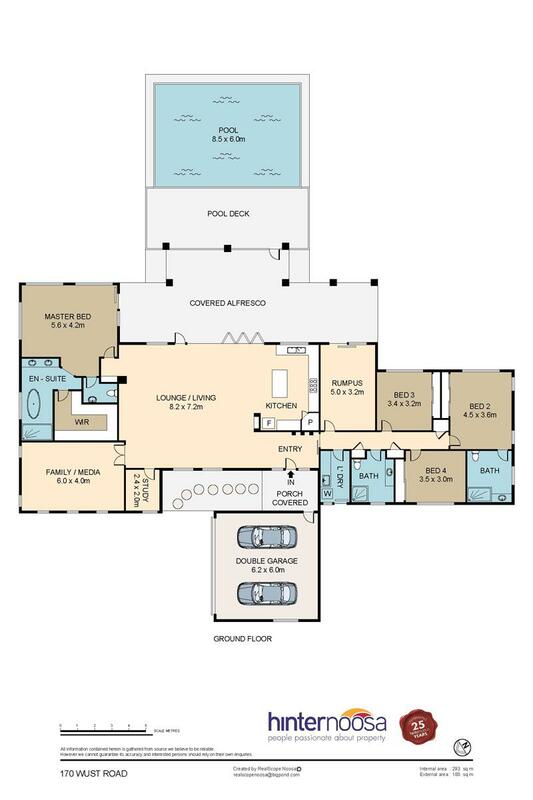 A media room and study branch off the living room, with a deep hallway linking a rumpus room, three bedrooms, laundry and two bathrooms finished to the same high standard. 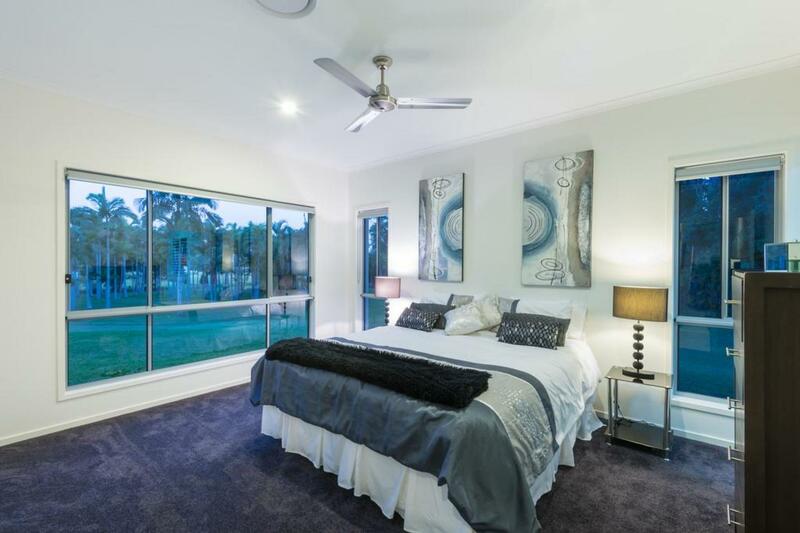 A quality build by Dwyer Quality Homes, this fastidiously maintained residence and grounds demand your early attention. 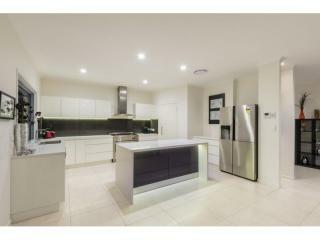 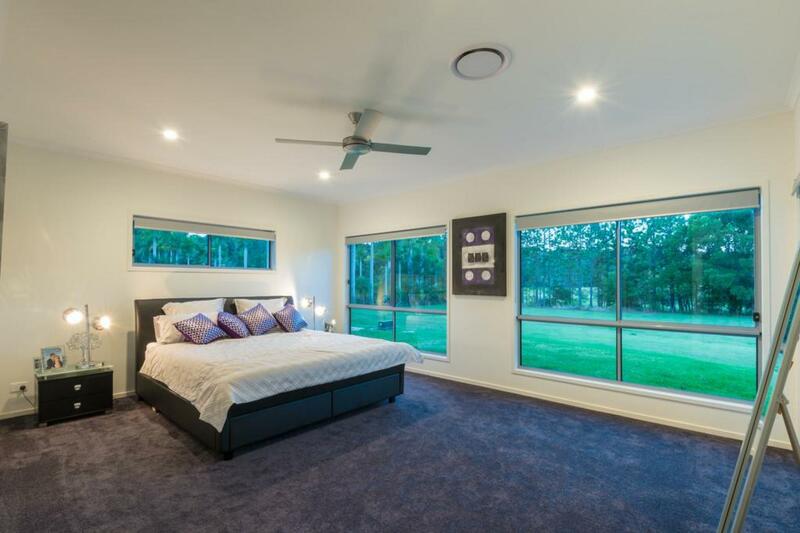 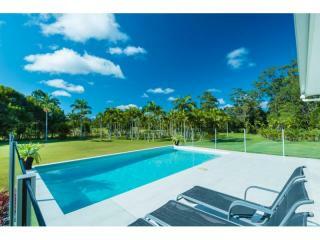 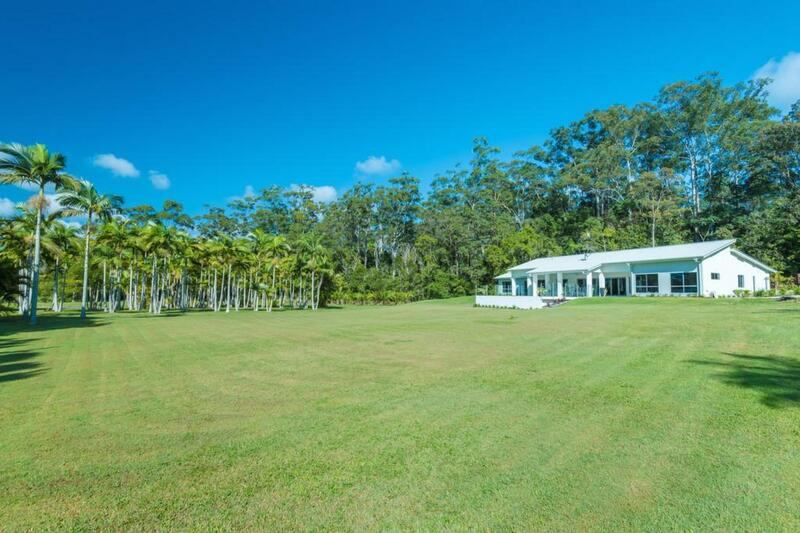 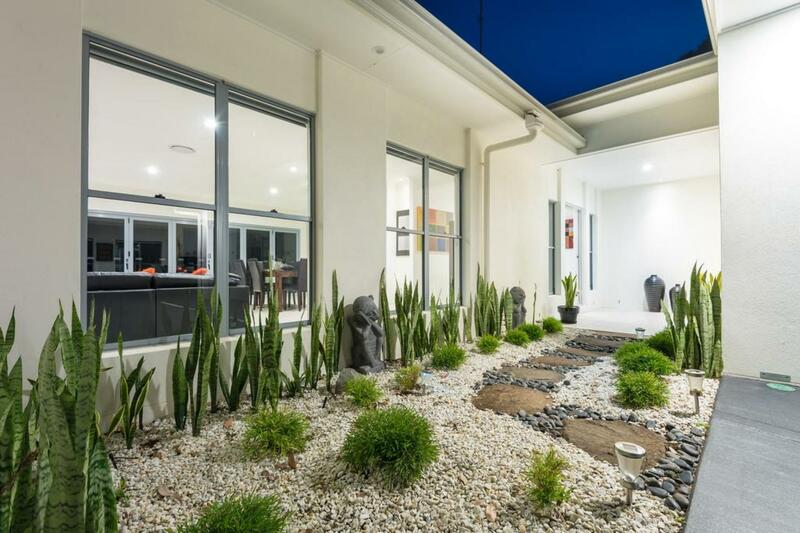 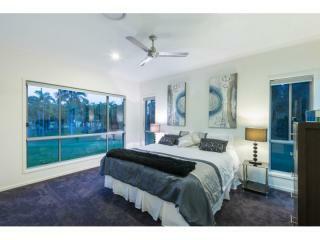 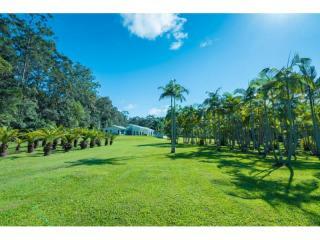 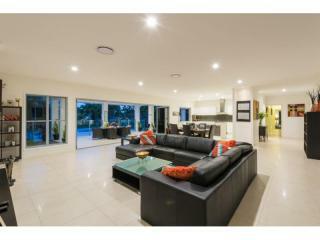 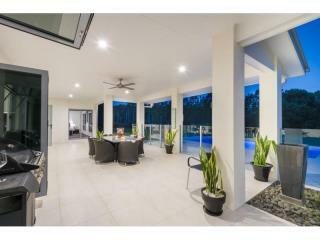 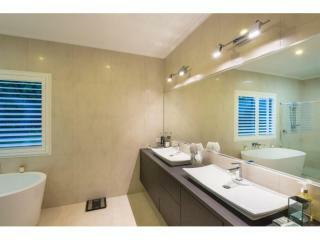 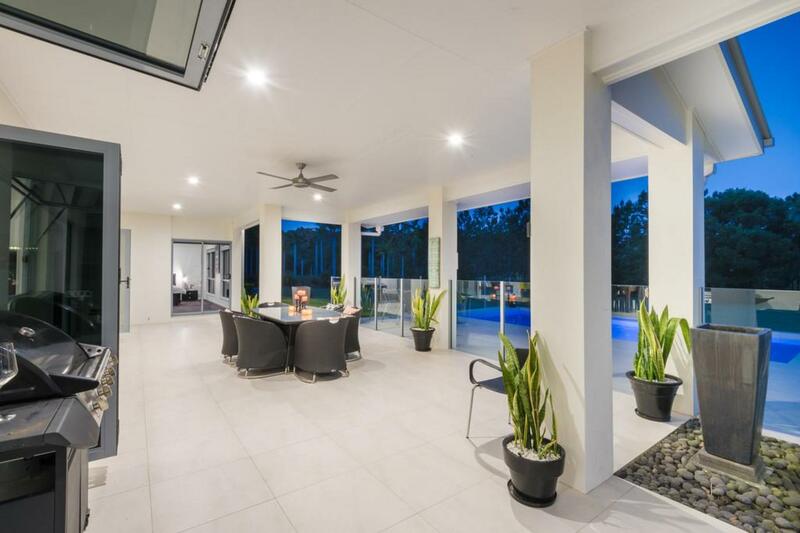 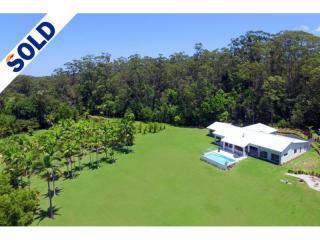 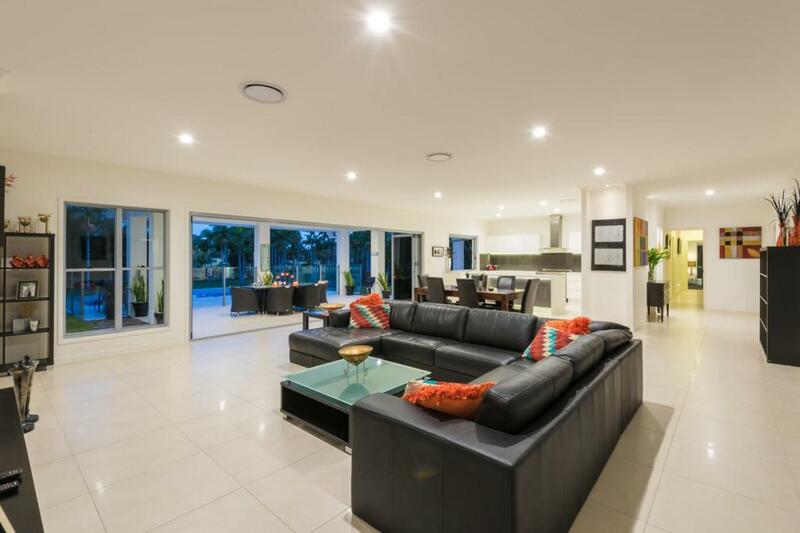 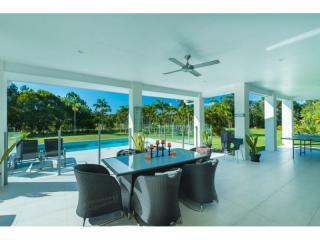 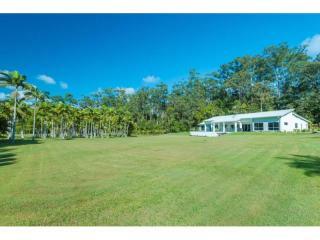 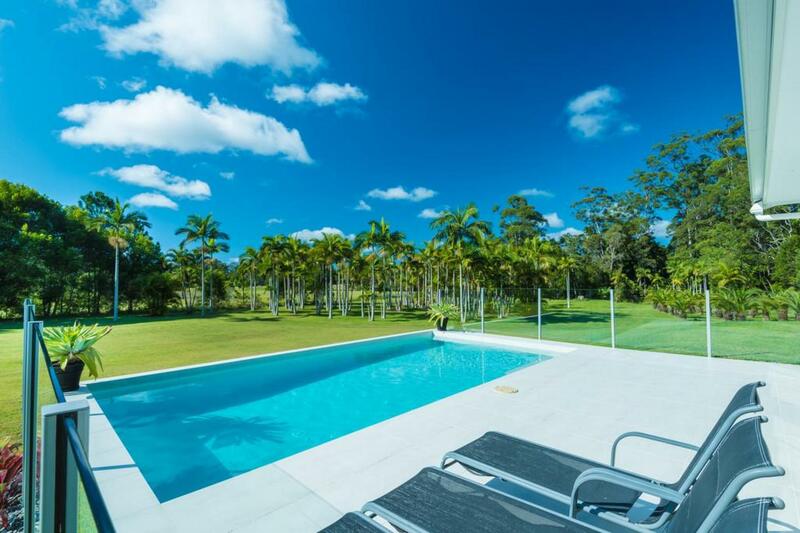 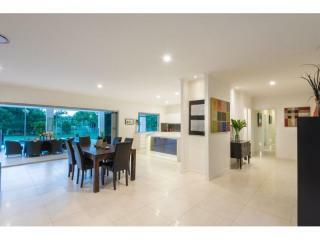 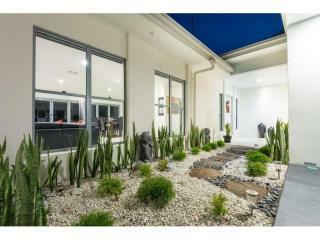 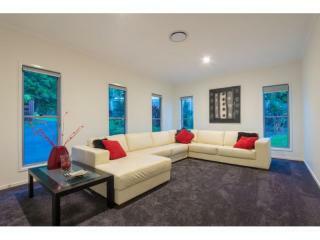 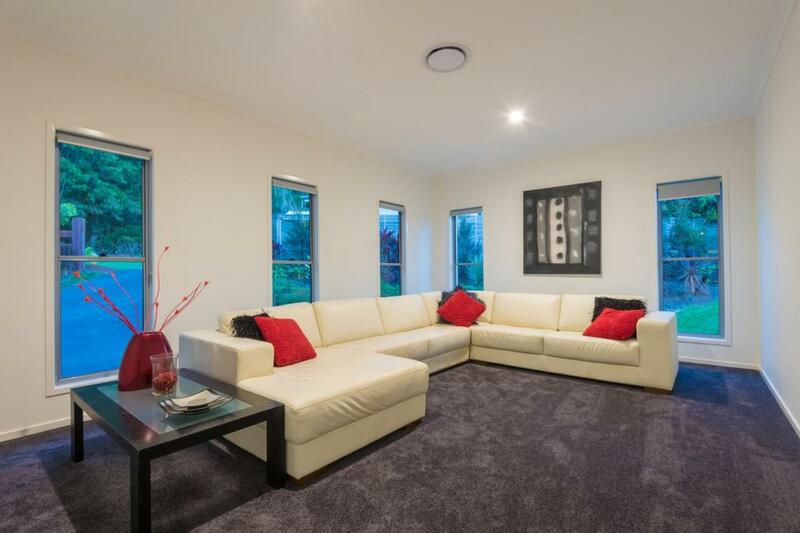 Features: 12,262sqm (app3acres), golf course frontage, 2013 construction, ducted air conditioning, two- pak finishes, 2 ensuites, media room, study, 68,000 litre rainwater storage, bio-cycle, dam, palm stands, 15 mins Noosa Main Beach.